In “MLOW: Meet the Winners,” Many Languages, One World® winners discuss the moment that they found out that they were selected as winners of the world-wide essay competition. The winners open up about their essay-writing process, as well as the challenges they faced before making their contest submissions. This video provides a look inside the Many Languages, One World winners’ daily lives and showcases their passions for multilingualism and cultural understanding. Students also discuss the opportunities that they were awarded, including attending the Global Youth Forum in Hempstead, New York, and presenting action plans at the United Nations General Assembly. 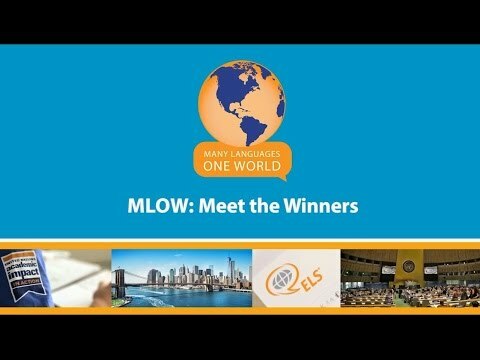 Watch as students express their excitement about winning the competition, and continue to follow the Many Languages, One World conversation at #MLOW2016.